There’s this brave little boy. He has an undiagnosed seizure disorder. Though he is small, his faith is big. 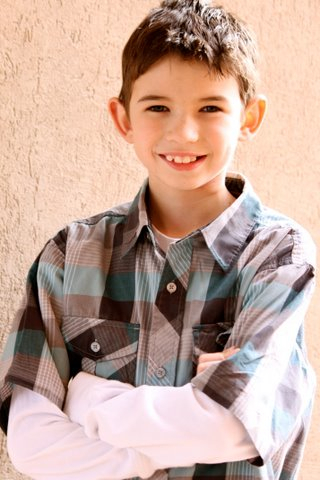 Austin is a 12 year old boy who’s parents serve at Central Christian Church in Las Vegas, NV. For the past 5 years Austin has suffered from life threatening seizures, and has as many as 80 – 100 a day. On May 4, 2012 he faced his third brain surgery to try and stop these fatal seizures. He is recovering well. This foundation is created for him and other children like him who suffer from a seizure disorder. He never complains, always smiles, and laughs all the time. Despite having SO many seizures a day his spirit stays sweet. That is why people started saying “live like Austin”, as a challenge for us to live life with the same attitude even when faced with adversity. Watch him and his dad talk about their journey. You can follow Austin’s progress on the facebook page dedicated to his journey. Make sure to “like” his page and visit often. Show your support by purchasing a ”Live Like Austin” T-shirt like the one my Bella is wearing in this picture. to live life to the fullest, but it will give you the opportunity to talk about this amazing boy and his incredible passion for life. Thank you to Jud and Lori Wilhite for raising awareness by posting their picture on Twitter wearing this shirt. I have to admit, when I saw it I thought, “That’s a cool shirt. Where can I get one? !” It wasn’t until I visited the website that I learned of Austin’s story. Everyone in my house has a “Live like Austin” t-shirt now and every time we wear it people ask what it means and where they can get one. We have yet to wear them all at the same time, but I wouldn’t put it past us. Learn more about Austin by visiting his website Austin Ervin Foundation and make sure to share his journey with others. This entry was posted in Life and Death, Photos that Speak to Me, Wisdom and Truth and tagged "Live like Austin", Attitude, Bella, Eternity, Faith, Giving, God, Health, One for the Journey, Prayer, Sickness, Sons by Joy. Bookmark the permalink.